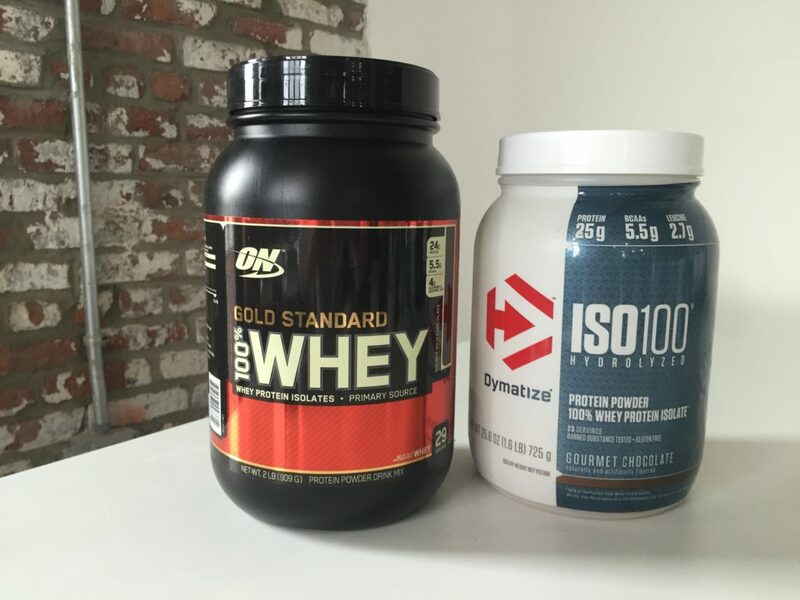 Home » ON Whey Protein vs Dymatize-ISO 100 – Difference in Blends? Optimum Nutrition and Dymatize are pretty well-known in the supplement game and they both have a good reputation with third party testing sites. 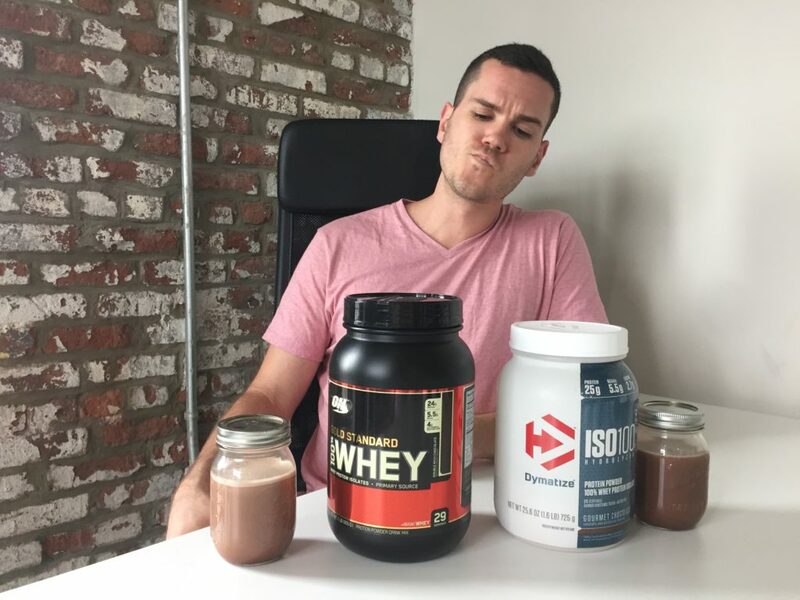 Consumers trust them, so we decided to take a look at their most popular whey protein powders: Gold Standard and ISO 100. 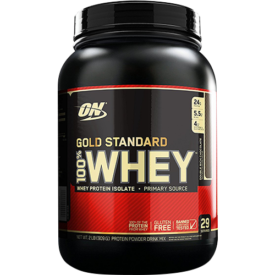 The big difference is that Gold Standard is a blend of three kinds of whey whereas ISO 100 is primarily a hydrolyzed whey. But there are a few other interesting things to note. The market's most popular whey lives up to its reputation as a solid all rounder with a huge variety of flavors to choose from. Both of these products have 120 calories per scoop, but the macros and micros are a little different. Gold Standard has 24 grams of protein, 3 grams of carbs, and 1 gram of fat, and it’s got 10 percent of your recommended daily intake of cholesterol. On the other hand, ISO 100 has 25 grams of protein, 2 grams of carbs, and 0.5 grams of fat — more protein, fewer carbs and fat. It’s also higher in iron (4 percent of the RDI versus 2) and calcium (10 percent of the RDI versus 8). ISO 100 is a little saltier with 160 milligrams of sodium versus Gold Standard’s 130 milligrams, but it has more protein per calorie and more minerals, to boot. The biggest difference to note here is that Gold Standard is a blend of three types of whey: isolate, concentrate, and hydrolysate (or hydrolyzed whey) in that order. The rest of the ingredients are soy lecithin (for mixability), natural and artificial flavors, acesulfame potassium, and the digestive enzymes Aminogen and Lactase, which can reduce digestive issues like flatulence that can arise from consuming lactose. 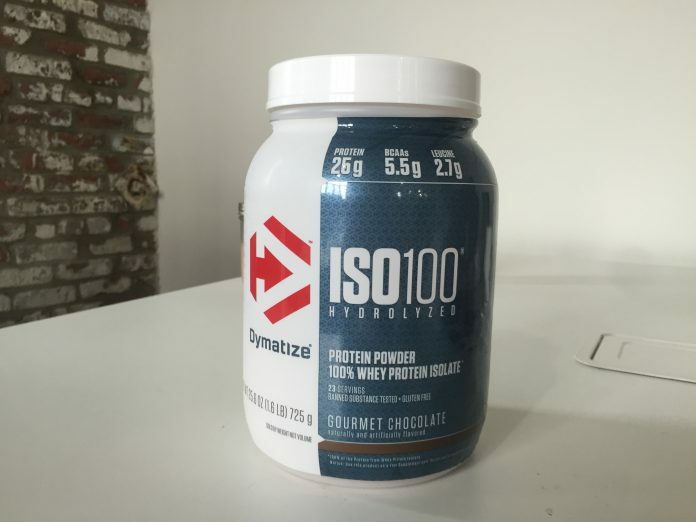 ISO 100’s first ingredient is hydrolyzed whey and then whey isolate. Hydrolyzed whey starts out as whey isolate and is then run through enzymes that break it down into a form closer to its base amino acids. Ultimately, you get a whey that digests more quickly than isolate or concentrate. The other ingredients are pretty similar: both products contain soy lecithin and natural and artificial flavor. The differences are that instead of acesulfame potassium, ISO 100 uses sucralose as a sweetener. Sucralose is also called Splenda, and while neither is perfect, acesulfame potassium is a little more controversial in that it may affect one’s insulin response over time. ISO 100 also doesn’t have any digestive enzymes, but it doesn’t have any lactose or gum, so it’s probably not very likely to cause digestive upset. It’s a little tricky to pick between the two, but ISO 100 is my favorite because of their choice of artificial sweetener. If you buy a standard two-pound tub, it’s $30 for 29 servings. That’s $1.03 per serving, or 4.31 cents per gram of protein. The tubs are smaller when you purchase from Dymatize: it’s $30 for 1.6 pounds, or 24 servings. That comes to $1.25 per serving or 5 cents per gram of protein. We’re comparing Double Rich Chocolate to ISO 100’s Gourmet Chocolate, and the two are pretty similar. Double Rich Chocolate, despite the name, is relatively bland, less like dark chocolate and more like a milk chocolate. It goes great with milk but with water, it’s not enjoyable at all. ISO 100, on the other hand, is a little bit sweeter. With milk, it tastes less like chocolate milk and more like a chocolate milkshake, sweet and creamy. But here’s the clincher: ISO 100 tastes great with water, a feat that’s very, very hard to pull off. That fact alone made it the winner to my tastebuds. 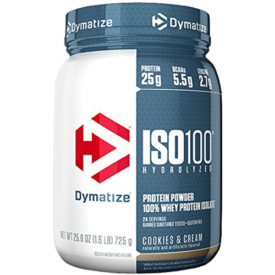 Optimum Nutrition is cheaper and it’s a fantastic product, but Dymatize ISO 100 has more protein per calorie, more protein per serving, and it tastes better to me.